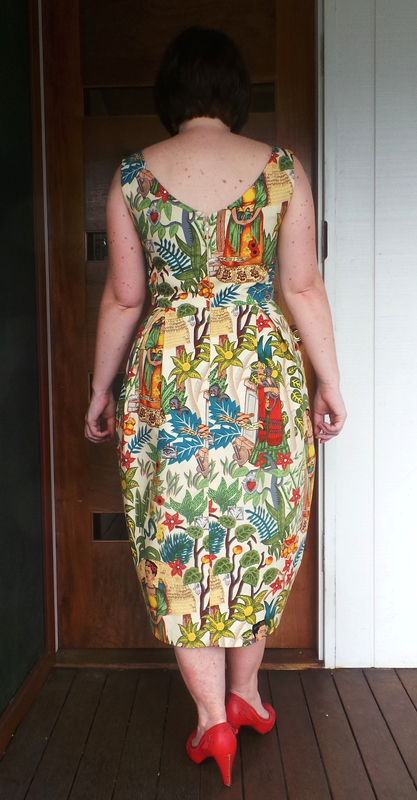 I did have a vague plan of what I wanted to sew for the next couple of months – well back in April/May I did. The plan was to finally finish the Little French Jacket and start some tailoring projects that I have been stockpiling material for. But the team at Monthly Stitch announced June as ‘Indie Pattern’ month and all plans fell away. ‘Indie Pattern’ month was something I could get behind. The month consisted of weekly challenges – the first one was Dress. 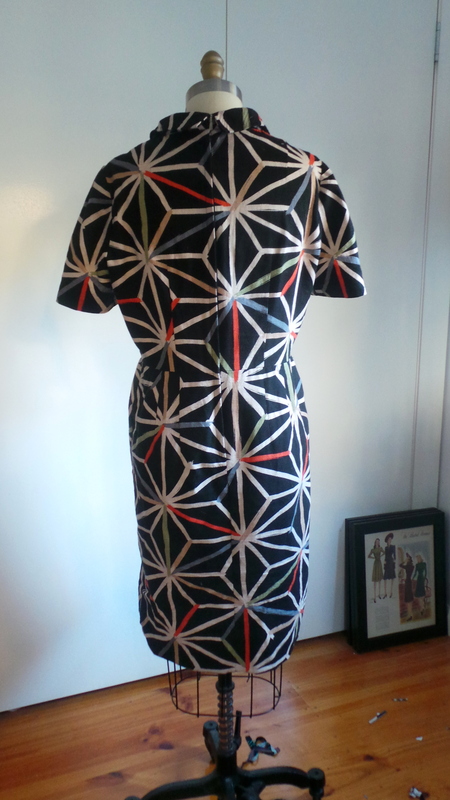 A dress from an Independent pattern that sounds easy. Well…I thought it was. 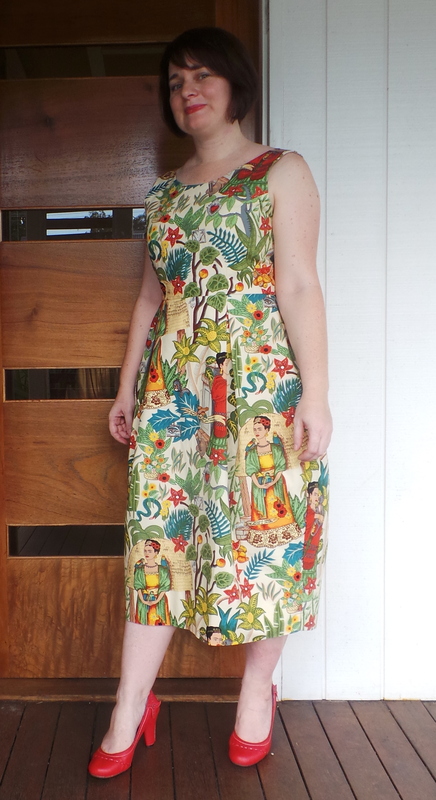 I honestly did make this dress during the Indie Pattern month, but when it was clear that I had no chance to complete the dress, take photos and blog about it by the end of the first June I slowed the heck down and decided to take my time the french seam the dress – because well the fabric deserves it. To be honest, when the Hawthorn was released I really didn’t like it. I thought the collar was a little too ‘home sewing’ and I tend to avoid button and buttonholes. 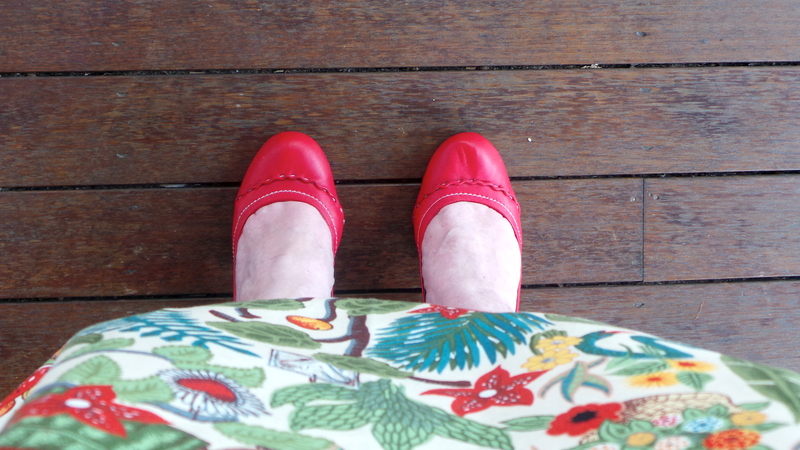 During ‘Me-Made-May’ (yes, way back to May) Lauren from Lladybird wore her Hawthorn and it rekindled my interest. The collar I previously was a little naff is actually kind endearing and the skirt is fun with just the right amount of ‘twirly’-ness. And once I perfected my sample buttonholes, completing the million buttonholes and sewing buttons on was quite as horrible as I think. 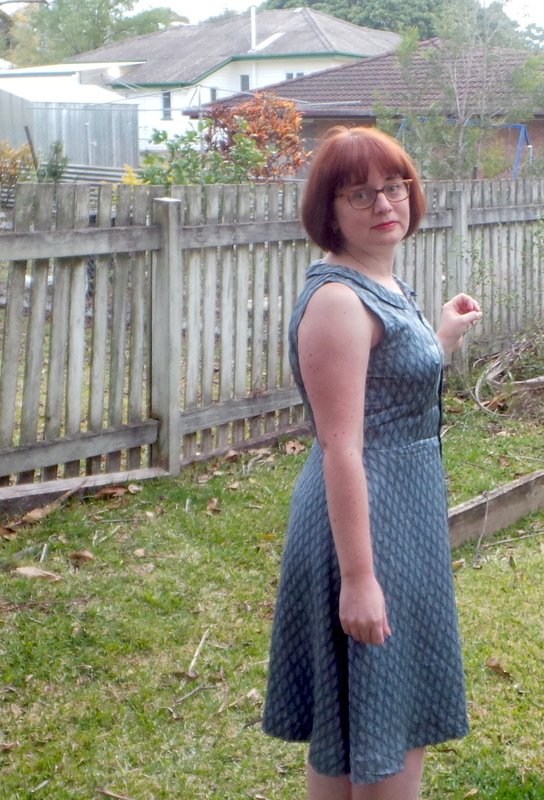 My only misgiving with the pattern is the gaping around the armhole – it serves me right as I knew better. I know that the bodice pattern for a sleeveless version of a sleeved dress really should be different to the sleeved version, so I don’t know why I didn’t fix it when cutting the fabric. Oh the fabric, it has made the dress – I must use silk for everything. There seriously is no substitute and I love that the Fabric Store always have a plentiful supply. This silk is a silk panel that I managed to piece around the zigzag/chervon stripe that ended each panel. The dress is simply a dream to wear and I think I have worn it every week since June (I have refused this winter to admit that cold weather occurs). I have worn the dress so much that the neckline is beginning to fray due to the narrow seam allowances and my inaccurate sewing. No insidey photos because honestly the inside matches the outside due to the french seams. I even enclosed the facing by putting the facing and interfacing pieces right side together, sewing a tiny seam along the edge, turning the pieces right side out and then ironed the interfacing to the facing – I recall seeing this on a couple of blogs many moons that I can’t remember but I definitely know Sewbusylizzy used the method at a time. I may not be rushing out make more Hawthorns as I still dislike all those buttonholes – I definitely will continue to contribute more silk to the sewing stash!. When Marie from A Stitching Odyssey announced the Vintage Sewing Pattern Pledge I did not intend to participate – but I did start to notice the vintage patterns that were appearing on Ebay in my area were catching my eye more often. 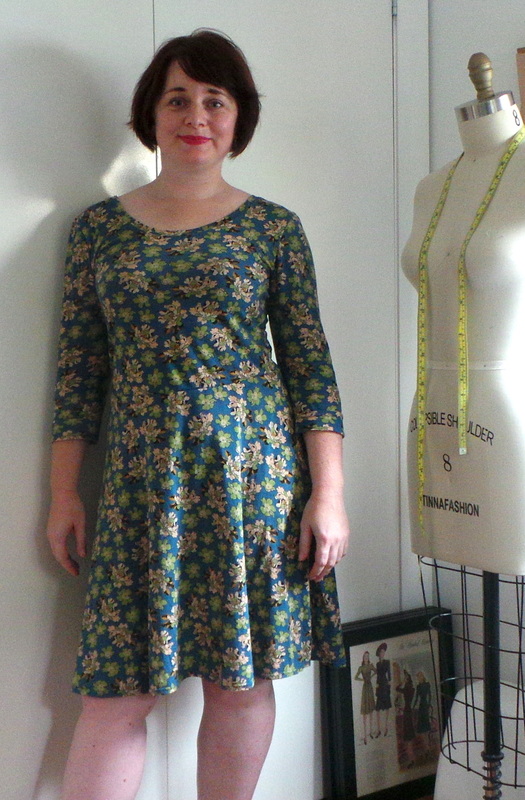 As a result, I started buying vintage patterns which added to my previous ‘collection’ of two. 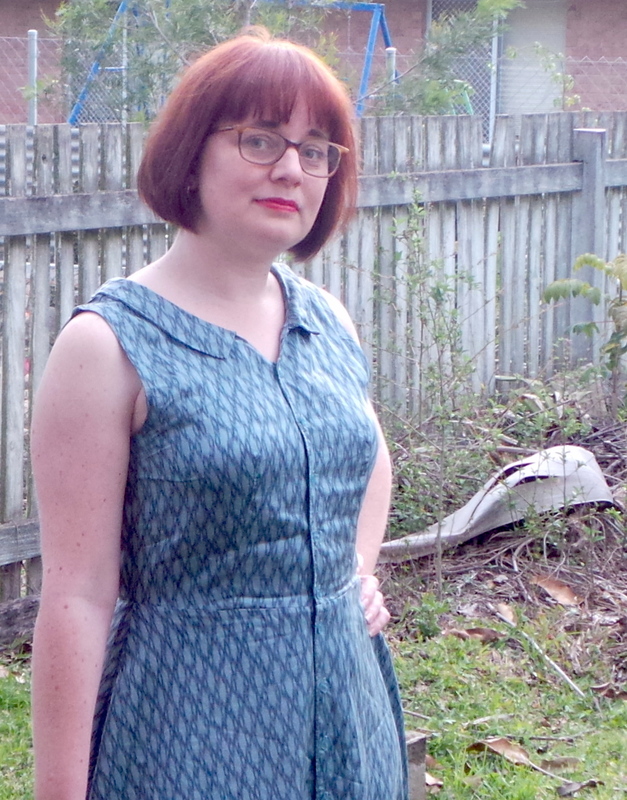 Then Laura Mae from Lilacs & Lace joins the Vintage Pledge with a guest plot that served as a reminder about why vintage patterns are really worth it. The pattern dates from 1965 and it for sure has the ‘mod’ feel to it. Definitely a different style than I am accustomed of wearing and for the first couple of wears I felt like it was a strange ’60’s air hostess costume as it has a touch of corporate uniform to it. Surprisingly the dress has since become a regular addition for my weekday corporate wear. 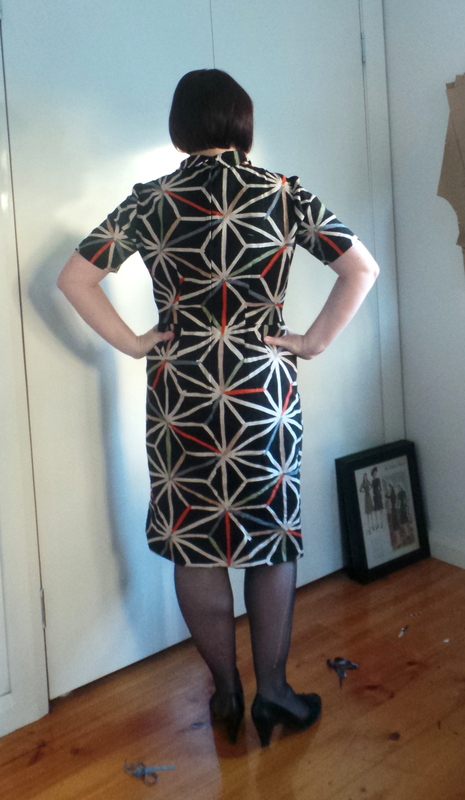 The dress features a front tie which is really quite sweet, but the print does not do it justice. Little tie, are you trying to hide in there? Alterations were very little. 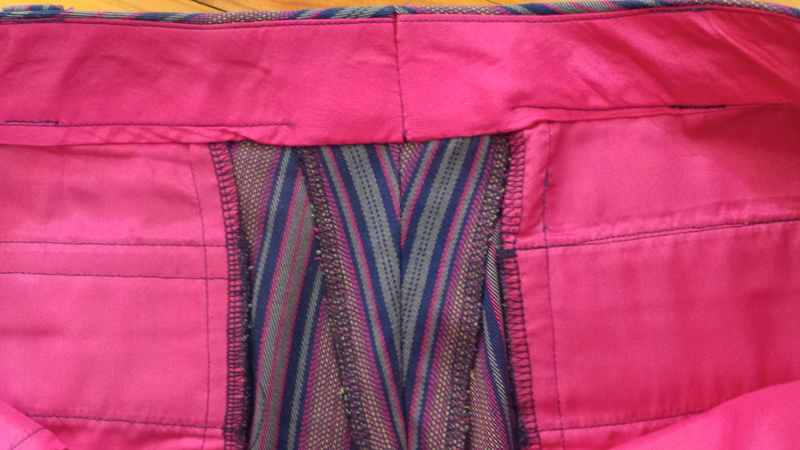 After double checking the flat pattern for the amount of design ease and I only needed to add extra to the waist. I was a bit generous in adding waist ease as I was hoping the dress would be suitable for work and I didn’t want to risk being uncomfortable while sitting at the desk all day. The skirt was very long but I was trying to stay true to the ‘vintage pledge’ and I didn’t shorten the skirt patterns before cutting the fabric pieces. As a result the hem allowance is huge – but I do find something luxurious in large hem allowances, no cutting corners to save fabric here. 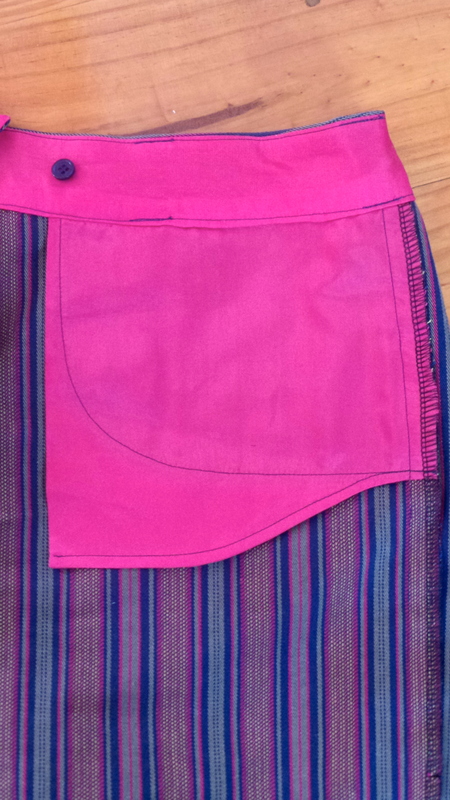 The patterns instructions have some neat steps that I really enjoyed including – seam binding over the waistline seam, and on the sleeve and skirt hem lines; hand worked thread bars. With these additional hand work details it only felt fair to interline the skirt with silk organza and catch stitch the seam allowances down – and there is the added benefit of reducing the wrinkles. 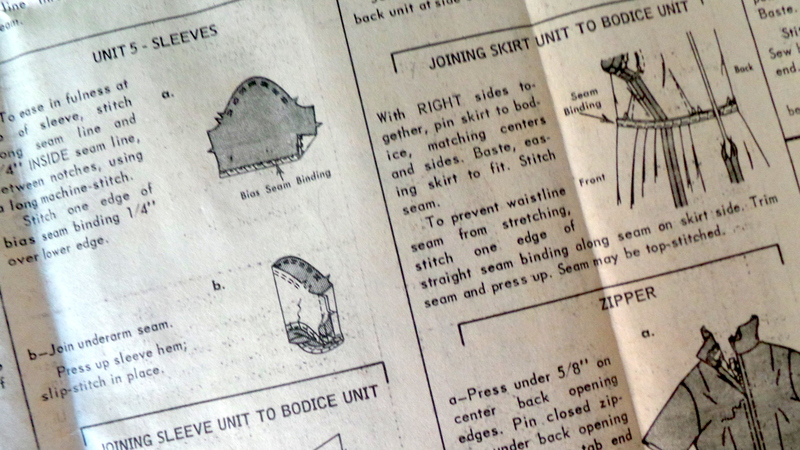 Some details of vintage patterns I love – the little construction notes jotted over the pattern envelope, the rusty pins to shorten skirt lengths, the more detailed/couture construction steps then modern patterns; the marked seam lines and little arrows to tell me the stitching direction. I certainly did enjoy the wonder of using something that had probably been packed away for the last 40 years. 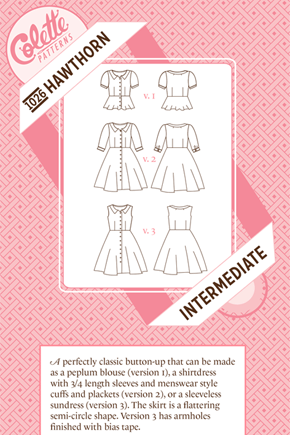 Next up on the vintage pattern adventures will be a shirtdress using the Bishop Method of Clothing Construction. Wish me luck! The weather is cooling in Brisbane but I am hanging on to the remains of summer with a tight grin. While a sundress is not quite season appropriate at the moment you can get away with it – just stay in bed until the suns warms up the air a little bit. 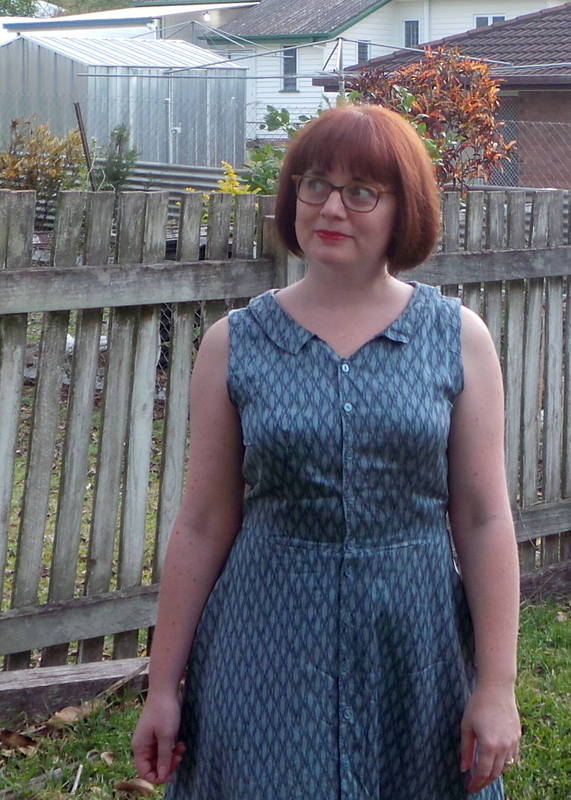 The Lily sundress seems to be the poor cousin of the Hazel dress from Colette Patterns. I have never understood this. The two dress patterns were released together, and while the number of Hazel across the blogsphere and flickr is significant Lily seems to be trail behind. But there are some wonderful Lily’s around – the pattern is fantastic, hugging all the right places and with pocket construction is reminiscent of the Rooibos. 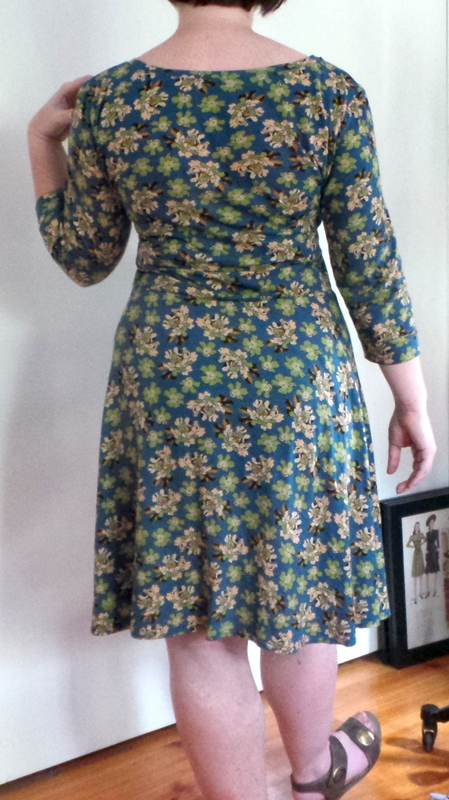 I recall that the Lily pattern was inspired by Sophie Loren and you can definitely see it – it is great fun to wear. Following Inna’s lead, the only adjustment I made was a small bust adjustment. I shaved off 1/2 inch from the side fronts and a little from side seams on the side back pattern pieces. I changed up the construction process a little. 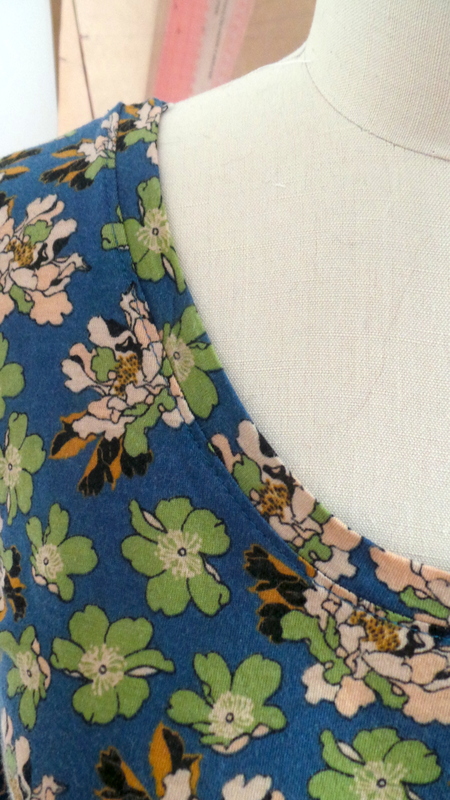 As I skipped a test muslin, I didn’t attach the neckline flap until after the zipper was in. This way I was able to have a mid construction fit check before some more adjustments and then attached the neckline flap and facing. 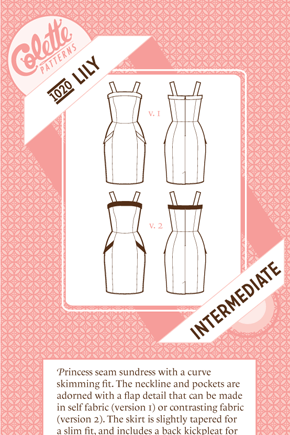 I redrafted the facing and neckline flap patterns pieces to factor in the small bust adjustments, but nothing to major. The shoulder straps I moved a little out to be a little more bra friendly. 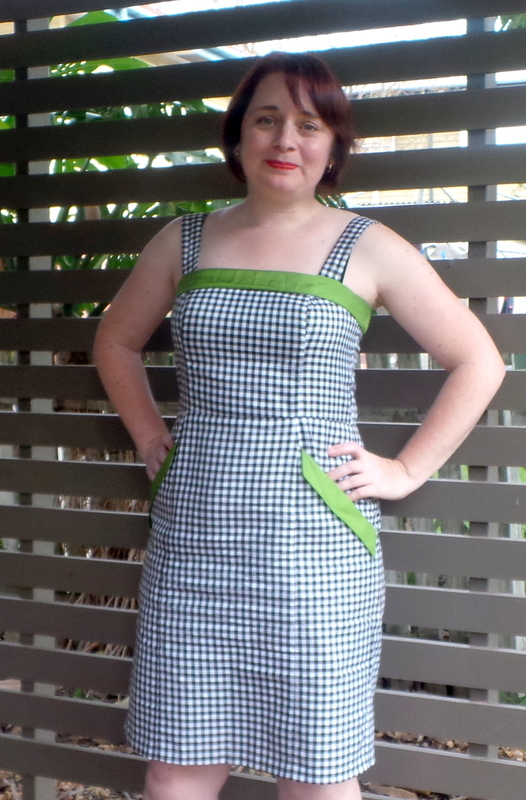 The fabric is from the fabric swap that was held at the Brisbane Sewing Hight Tea, organised by Busy Lizzy in Brizzy. I am not sure who the original owner was, but thank you the fabric really is quite lovely. The fabric had a curious sheen to it but after a prewash the fabric’s glory was revealed. A quick burn test showed that is a cotton, maybe cotton blend. I did consider underlining as I was a little concerned that the fabric was a little sheer. 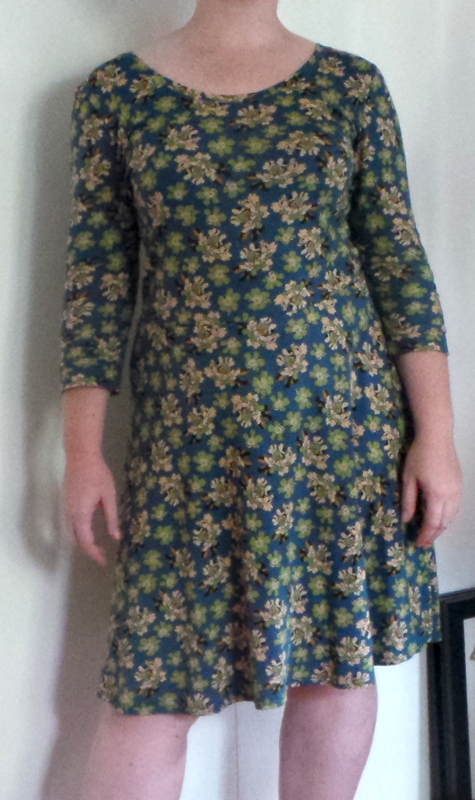 In the end I didn’t bother; it is a sundress after all. After some deliberation over what contrast to use – I settled on some bright green silk habotai. Red was too obvious, orange was interesting but not quite me, white was meh; green it was. Oh gosh, such sweet pockets! – excuse the blurry photo but I had to show more of the pockets. The insidey bits – nothing too much of note. Seams overlocked. Only hand stitching was the hem which for pencil skirt is a pretty speedy task. Invisible zipper for the back but a shame that my local Spotlight was out of black zips – so white it was. 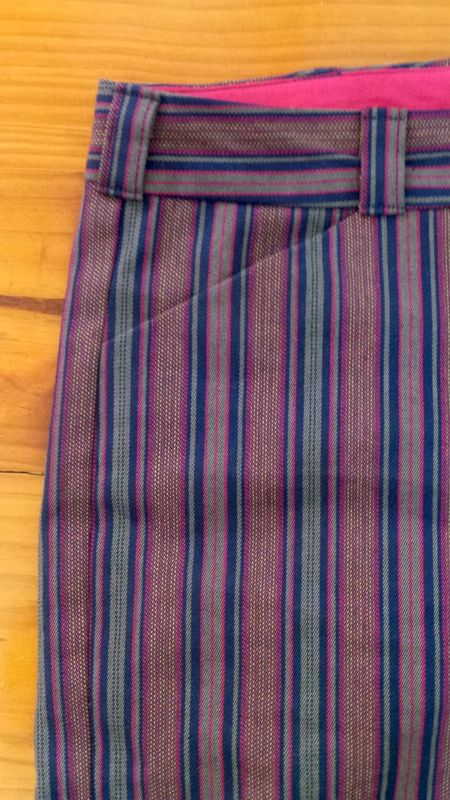 Quite happy with the match at back waistline and matching up the checks. For next time, no changes really. Maybe lengthen the shoulder straps a little as the dress does seem to sit close to the underarms – but that’s no big deal. Dolly Clackett (aka. Roisin) is getting married, and it’s time to celebrate with sewing! A scheme to celebrate all things Dolly Clackett had been dreamt up by Sarah from Rhinestones and Telephones. 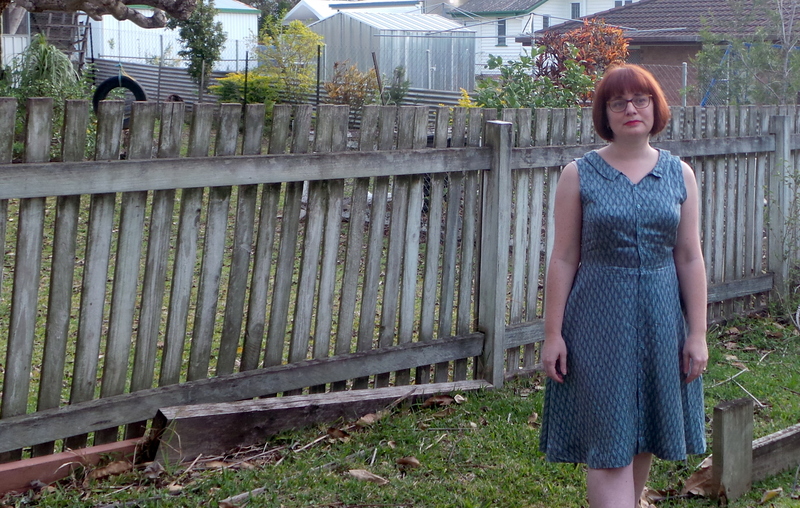 Roisin is the queen of dresses, amazing shoes, and novelty prints – and here is my contribution towards #sewdollyclacket with a little bit of Brisbane influence. For the Sew Dolly Clackett challenge I thought I would finally try a By Hand London pattern that I have been slow to join the bandwagon of – Elisalex. And well I get it now, apologies for the delay. The bodice is sublime while I am still a little out with the jury on the skirt. The fit on the bodice is quite awesome for straight out of the envelope. There is a little gaping around the armsyce but I suspect would be less noticeable when sleeves are added and certainly nothing that my Coppelia wrap cannot hide. 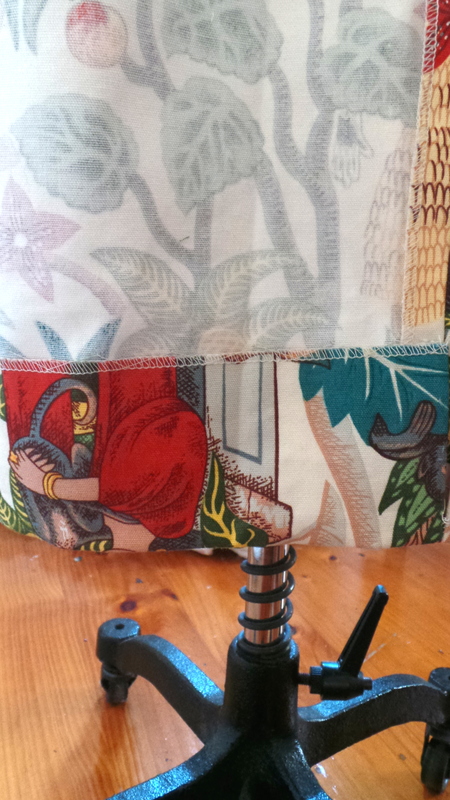 The fabric is a home decor weight from Alexander Henry Fashion for Home range called Frida’s Garden Tea. While Brisbane is a little sparse for eclectic novelty print collections but Voodoo Rabbit come through for me. They even have their own collection on Spoonflower. The home decor weight may be a little too heavy for the skirt, especially since I kept most of the length despite clearly being longer on me than the pattern intended. 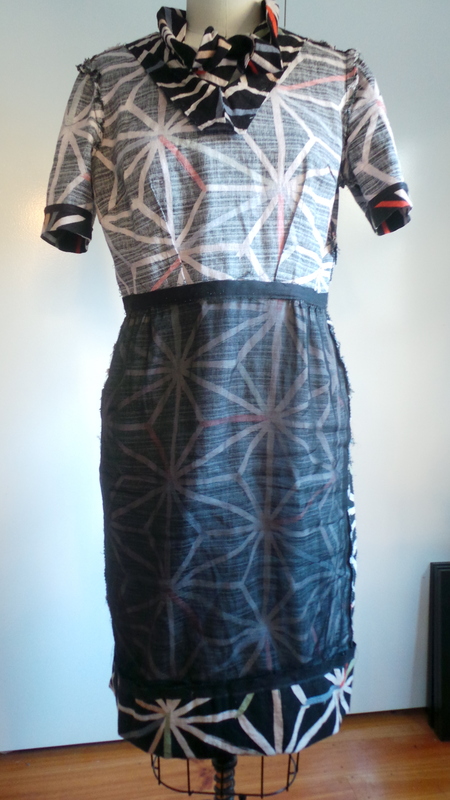 The pegged skirt is a little too wiggle for my liking, so if I keep the length next time I’ll add a back vent. The fabric called for some mean pattern placement and matching! I think I was pretty successful with it. 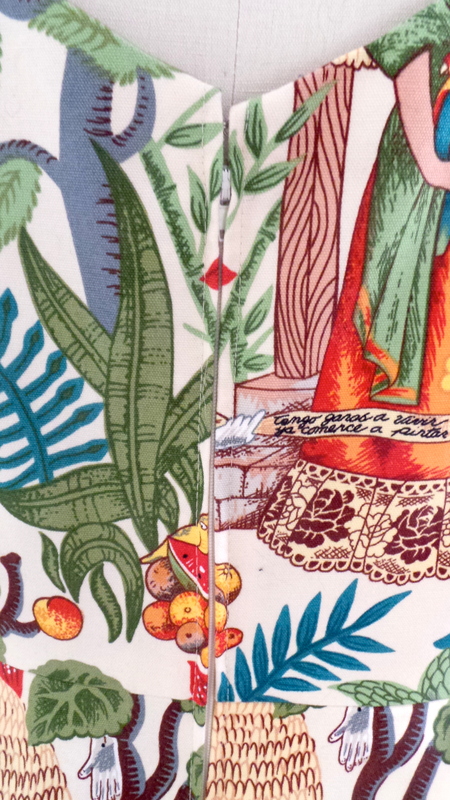 There is only one decapitated Frida but her body is actually hiding amongst in the skirt pleats. 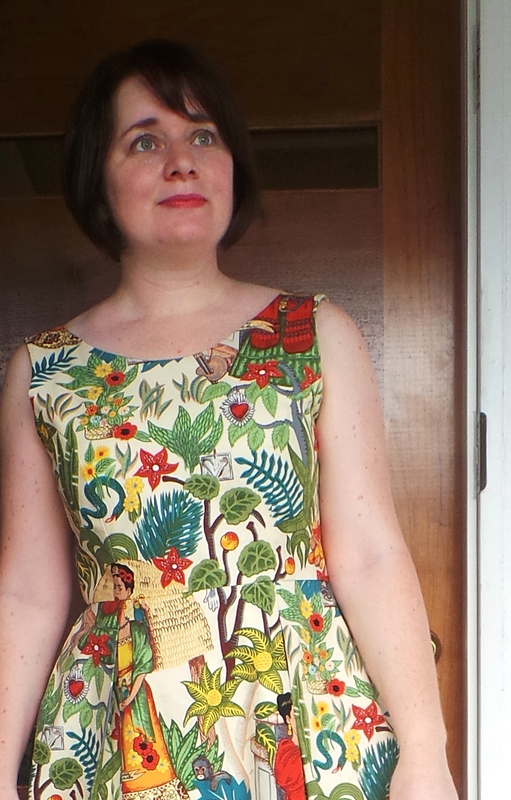 I was really pleased with print matching on the bodice with those the princess seams. The print is kinda too obvious to completely ignore trying to match up. Not really over the moon with the skirt back with an odd double image thing going on but I’ll never see the back when I am wearing the dress – so pfft. 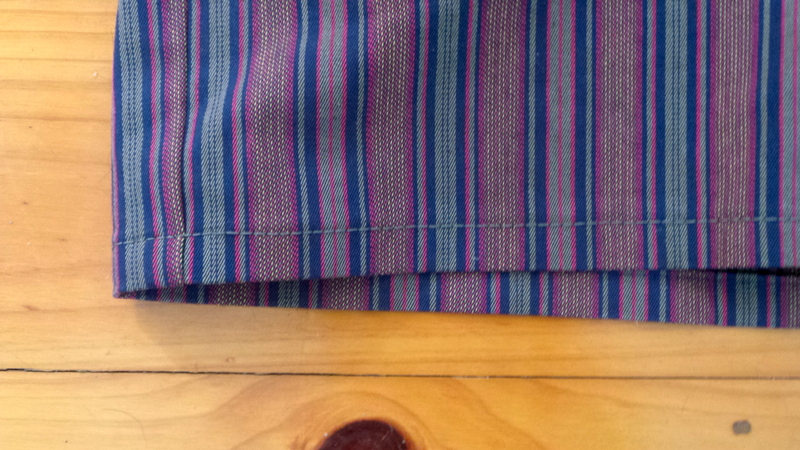 Though the side seams on the skirt I am pleased with. I guess I spent too much time concentrating on the side seams to consider how the centre backs would finish up. The insidey bits – the bodice is fully lined with a cotton voile that adds a lovely finish and oh so comfortable for Brisbane weather. 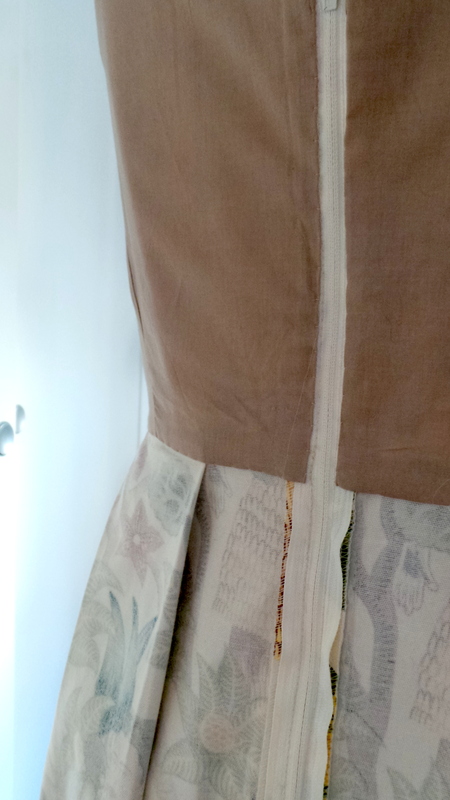 A bit of hand sewing to finish off the bodice lining and the hem. 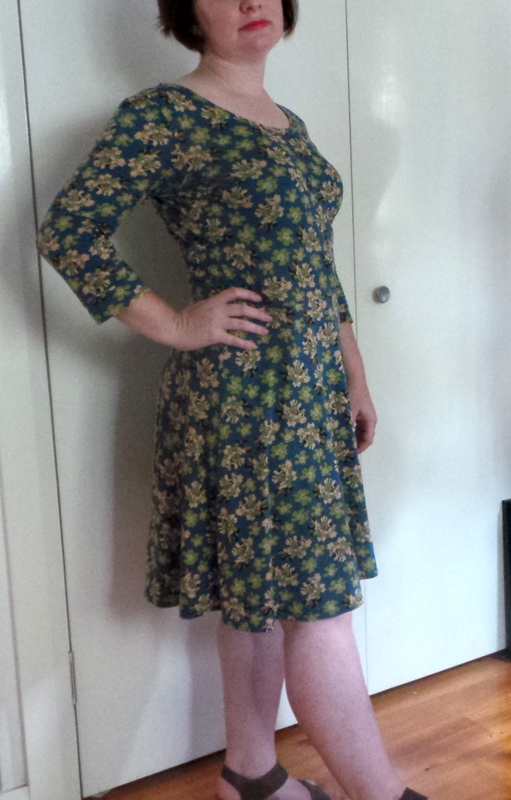 Thankfully the fabric was surprisingly forgiving to hem up! No invisible zipper for the back as I was a little wary of the amount of bulk by using such a heavy fabric. 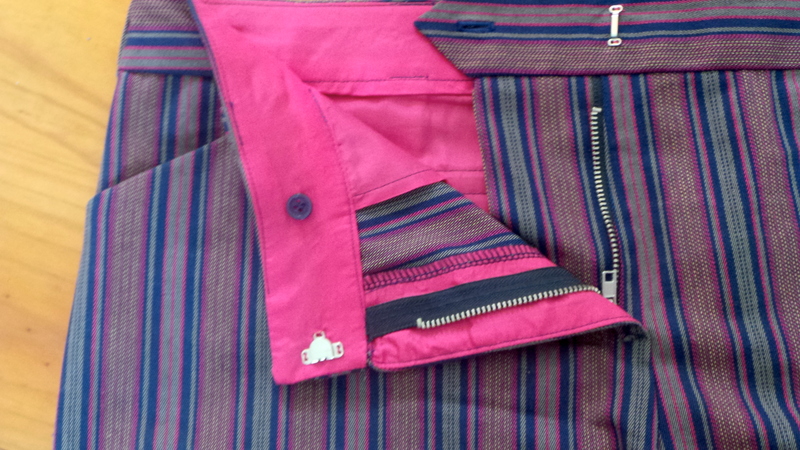 Instead, a standard zipper. A nice match at back waistline for the zipper but a shame the top edge is not as close as it could be, though who is standing that close to me to notice. I definitely hope to see more this Elisalex bodice – with just a couple of adjustments I feel it can become a tried and true pattern. Just as it already has for so many others in the sewing community. Back to the Sew Dolly Clackett celebrations – I wish Roisin and Nic all the best for their special day and may the Prosecco flow! The complex patterns continue for the Summer of Shorts as we have a fly front, double welt back pockets, centre back extension and belt loops. Definitely one for the details! 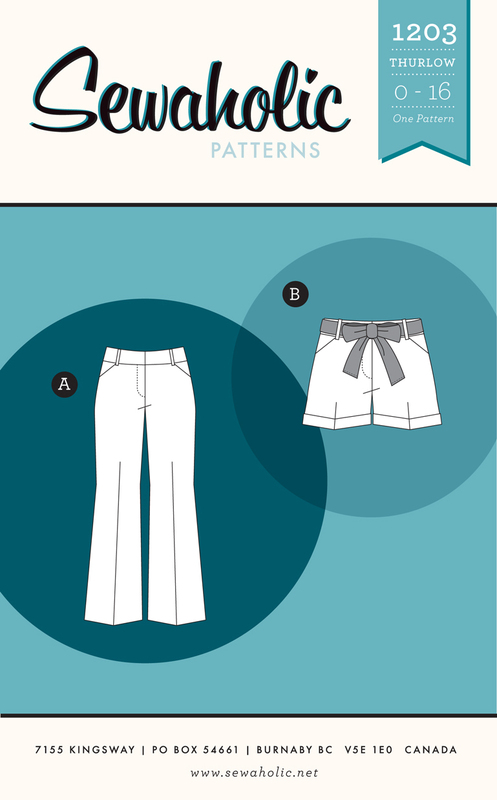 Sewaholic Patterns are sized for a pear-shaped figure: smaller waist, larger hips and thighs. Well, I guess I am an extra pear pear as I needed some additional space for a full derrière and the absence of a flat tummy. I completed a quick muslin in a size 10 and then The Perfect Fit: The Classic Guide to Altering Patterns keeps me in good stead for the adjustments I needed. I did check out Nancy Ziemans Pattern Fitting with confidence but I just didn’t understand what I needed to adjustment so I moved on. Thankfully with The Perfect Fit I was able to match my fit problem to the mass of fitting photos within the book and go from there. I think I was falling into the rabbit hole that is fitting as I panicked when attaching the waistband I adjusted for another smidge for the ‘protruding tummy’. 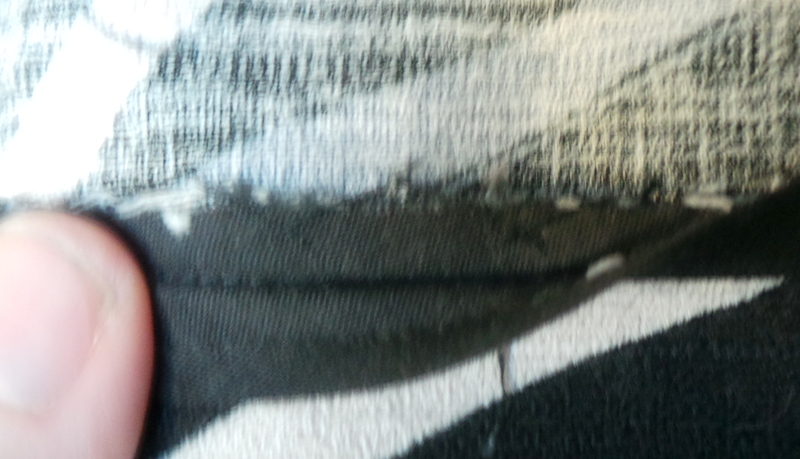 As a result the waistband does not match up as nicely as if I just left it alone. Aahh, the punishment of overfitting! And I am still not convinced by the fitting. 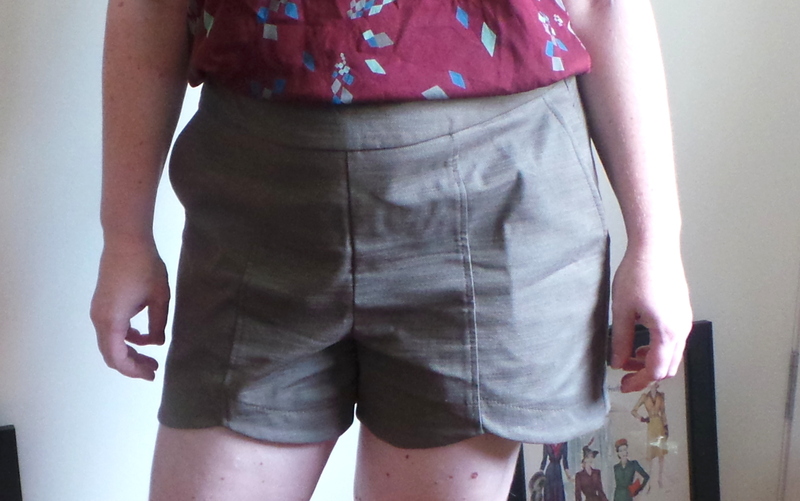 Adding to the drama, my hip measurement has dropped since I made the test muslin not significant but just enough that the shorts seem to wear a tad lower than I intended. The back welt pockets went in nicely, and the belt loop technique was a breeze. The fabric makes the project and this make is certainly no different. 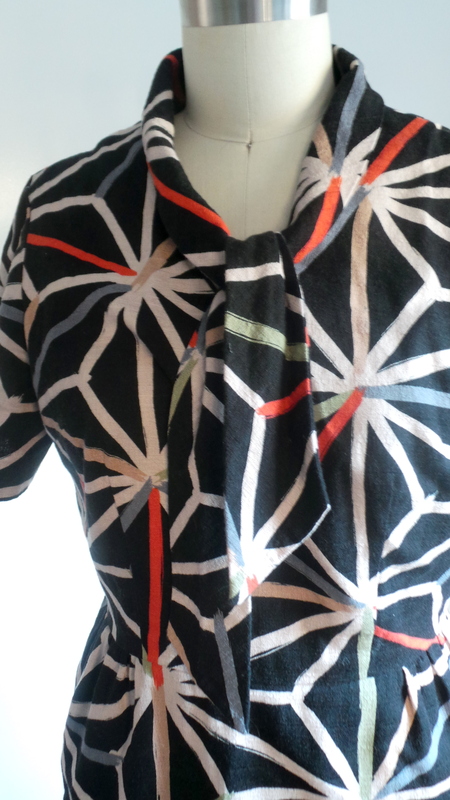 The striped cotton is from Gorgeous Fabrics – its still available and now I notice that another colour way is available. The fabric is well behaved and there were no dramas in the construction. 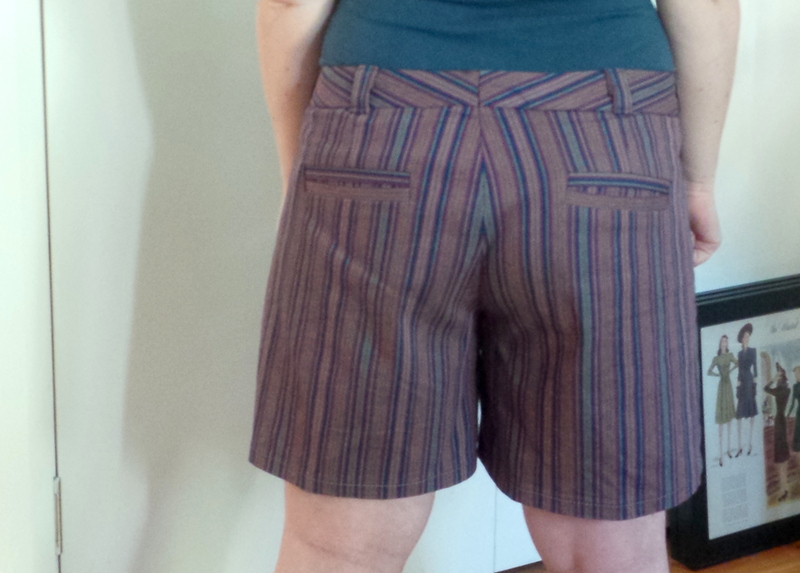 I got some perfect stripe matching on the front pockets – like a boss! The centre back extension that I didn’t use to fit the shorts. But now I think be able to bring in the waistband. 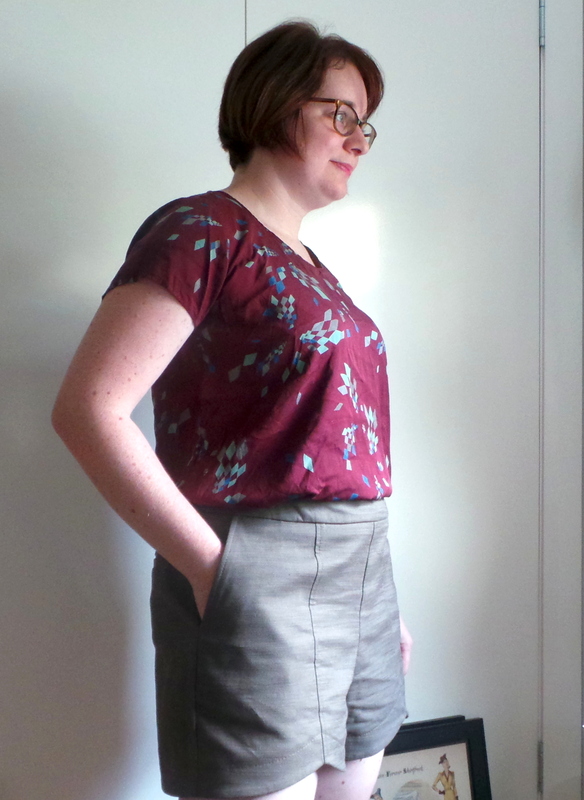 I used the blind hem stitch that came with my sewing machine to get the stitching in the waistband ‘ditch’ which works like a charms as long I have given the waistband a good press with a iron beforehand and I smooth the waistband as it goes through the sewing machine. 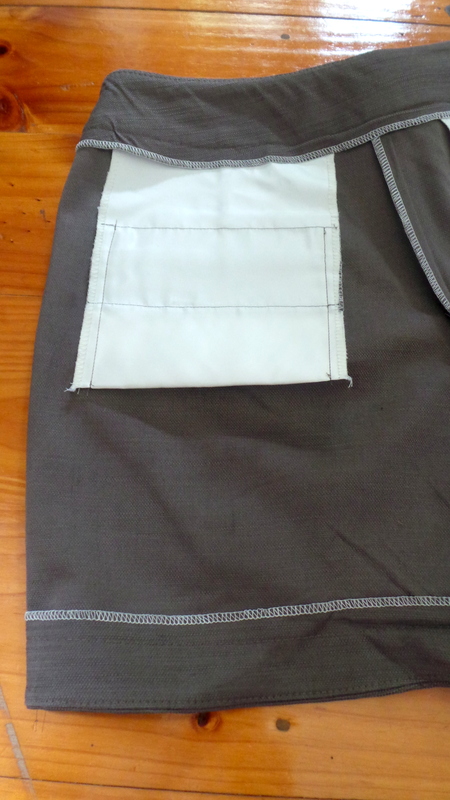 One of my few deviations from the instructions was to french seam the front pockets. Such an awesome finish to try! I love the finish of the shorts. It is seems very much ready to wear – love the details on the front waistband with the extra button to support the closure and little point on inside. 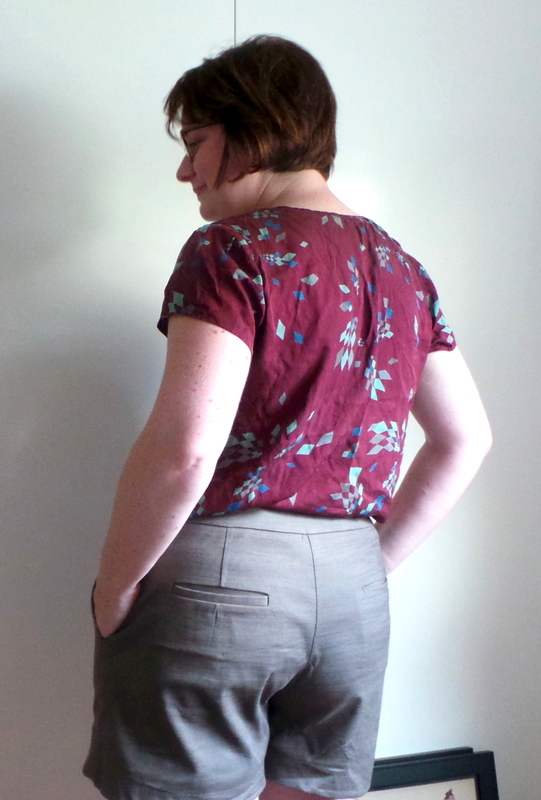 My other deviation from the pattern instructions was to complete the hem with a double fold and top stitch with some topstitching thread I had in the sewing stash. Some things to note for next time – Not the biggest fan of the small slash pocket. 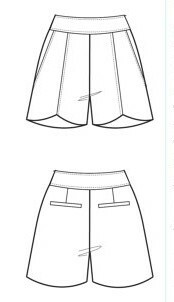 I think if I switch to the side slash pockets from Pattern Runway scalloped shorts to the Thurlow I think I have found my tried and true shorts pattern. Next up for the Summer of Shorts – probably some hibernation as Brisbane transitions into somewhat ‘cooler’ weather. I am considering some corporate trousers for work in a wool suiting. 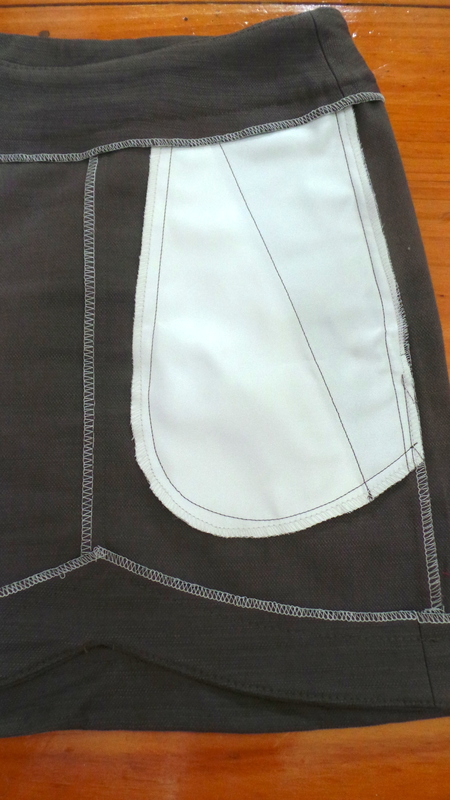 Perhaps with a ‘lighter’ dress zip the fly fronts will be mastered as I edge towards a tried and true pants pattern! 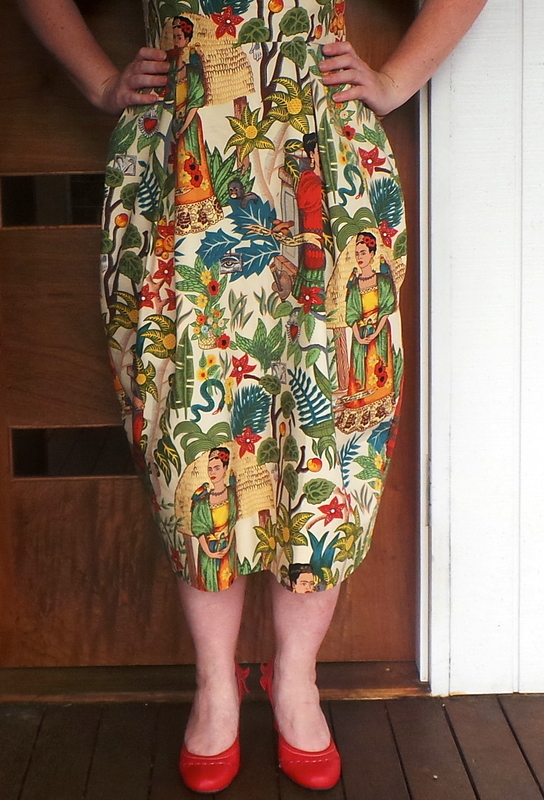 I do have more shorts in the pattern stash – but I may need to wait til the next time warmer weather is around before the knees make an appearance. 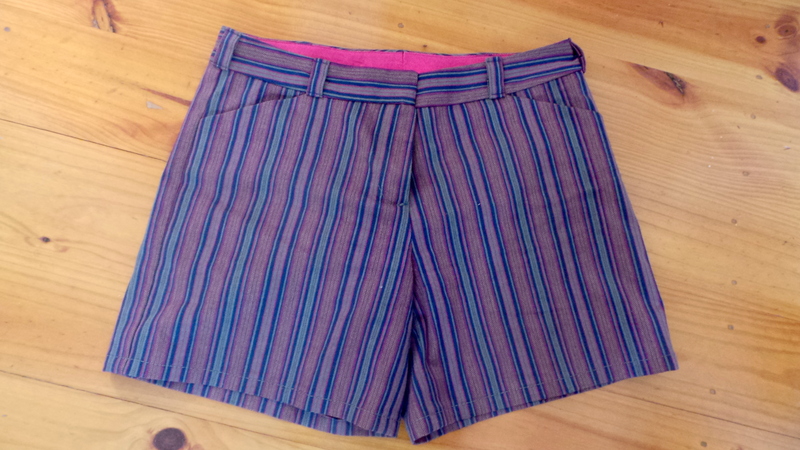 Another pdf download for this pattern but thankfully putting the pattern didn’t take too long – a great benefit of a short patterns is for sure the smaller pattern pieces but this has certainly been the most complex pattern for my Summer of Shorts adventures. We have welt back pockets, side pockets and hem bands. The fabric is interesting – a great find at my local Spotlight. Spotlight is by far the most convenient fabric supply store for me but wow I really wish there wasn’t so much polyester rubbish to wade through to. Cotton pique has a kind of stripe/rib woven into it and wears in really nicely – like a heavier weight linen. I checked out Clair Shaeffer’s Fabric Sewing Guide and Sandra Betzina’s Fabric Savvy to ensure no funny business was required – but all good pretty much treat as your usual cotton. 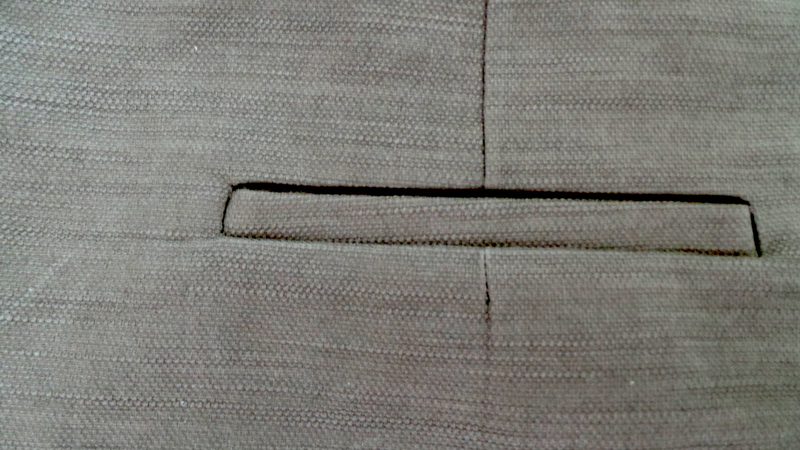 We have my first successful attempt at welt pockets – not too bad if I do say. I did have a false start though for the first welt attempt. You may notice the back welts are only on one side of the pocket, well I ended up with one welt being upside down. I didn’t have any spare yardage (which is a benefit of Pattern Runway – suggested yardage is always on the mark with no waste) – so a quick dash back to Spotlight for a little bit extra to recut another back piece. I also had a double take on the side pocket facings but I got there in the end and it provides a neat finish. Oh and the bagging of the back pockets got me confused but I again fuddled my way through – I have working back pockets so no complaints. The hi/lo hem line is sweet and pique just loves to be top stitched. 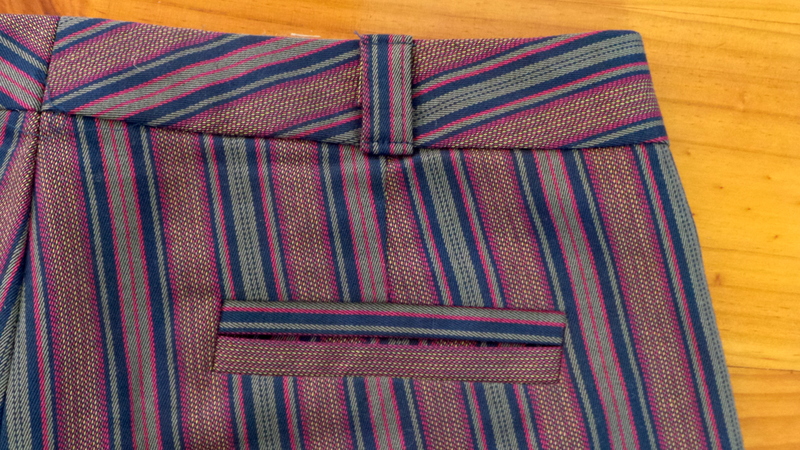 For the first time ever, the method of machine stitching the waistband facing by ‘stitching in the ditch’ worked nicely. 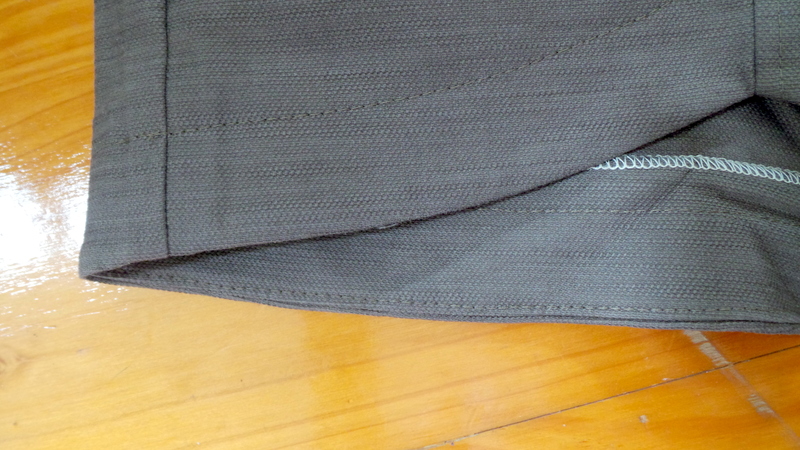 I used the blind hem foot that came with my Brother sewing machine to stay within the ‘ditch’ – it may not be completely hidden in the waistband seam ‘ditch’ but it is very neat and looks good from front and inside. Some things to note for next time – As sweet as welt pockets look are they really worth the effort?? They do break the space across your back. Oh well, maybe they will grow on me.